For the 7th time this season Utah’s men’s tennis team posted a come-from-behind victory when it beat the University of Southern Mississippi 4-2. The Utes once again fell behind after doubles play, losing two of three doubles matches. Junior Alejandro Medinilla and senior Dmytro Mamedov won their doubles match 8-6 from the No. 2 position. Down 0-1, Alejandro Medinilla made quick work of Ben Feldmann, 6-0, 6-0, while Devin Lane almost simultaneously beat Vasco Valverde 6-3, 6-0. But, the score was quickly tied at 2-2 when Dmytro Mamedov lost to Matt Frost from the No. 1 singles position 6-2, 6-1. But, the remaining Utes were all in control of their matches. Ben Tasevac put the Utes back up in the lead with a 6-1, 4-6, 6-0 victory and Cedric Willems clinched the match with a 7-6(3), 7-6(5) victory from No. 5 singles. 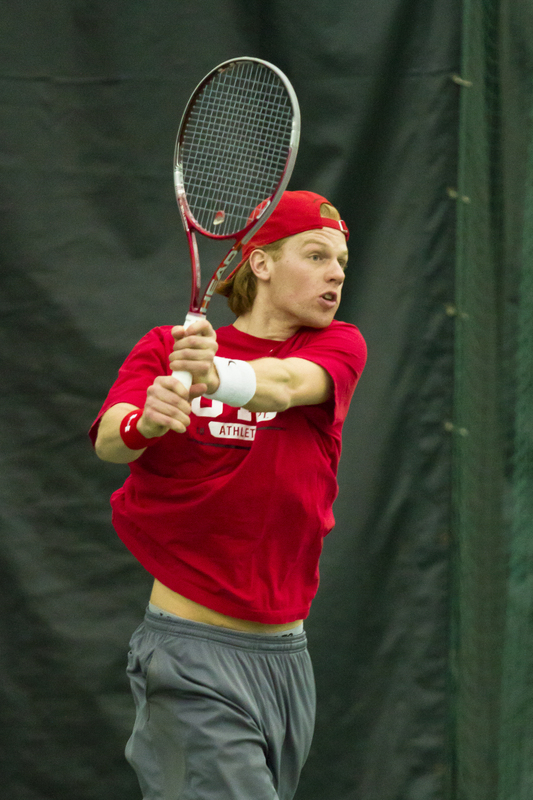 With the match clinched, sophomore Slim Hamza’s match was stopped, but the Ute was in the lead 7-6(5), 2-6, 3-0. The match against the Golden Eagles was the last non-conference match in the 2012/2013 season. The Utes will host Oregon in Salt Lake City, Utah Friday March 29 at 1.30pm. Weather permitting the match will be played at Liberty Park Tennis.